Almost every app on your iPhone is able to send you notifications. If you find the notifications from a particular app to be excessive or unnecessary, then you have the ability to customize, or completely turn off, the notifications that the app sends. 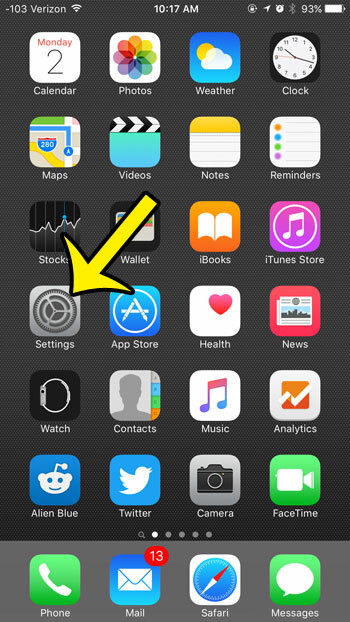 Many of the default apps on your iPhone also have notifications that you can customize, including the App Store. 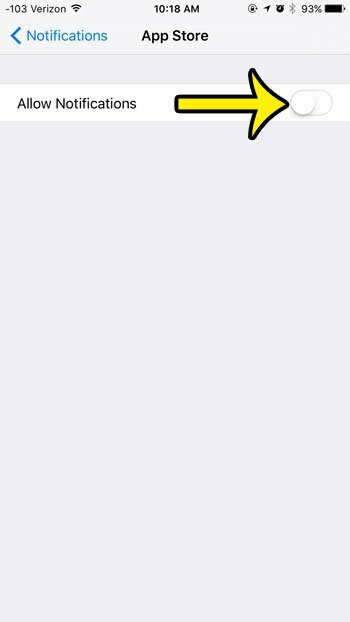 You can choose the types of notifications that you want the App Store to use, or you can elect to turn them off completely. Our tutorial will show you how to find the menu for the App Store notifications and which option you need to change to turn them off entirely. 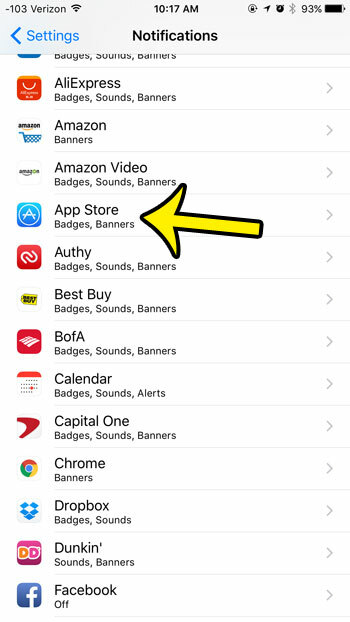 The steps in this article will turn off all of the notifications for the App Store app on your iPhone. You will still receive notifications for apps that you have downloaded and installed from the App Store. 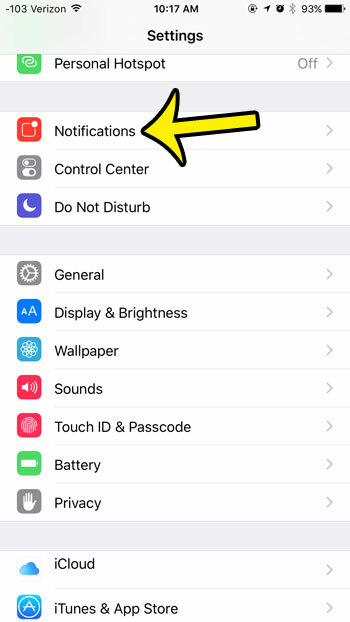 If you wish to turn off the notifications for a specific app that you have installed, then you can follow these same steps, but select that app instead of selecting the App Store. Select the App Store option. Tap the button at the top of the screen, to the right of Allow Notifications. You will know that the notifications are turned off when there is no green shading around the button, and all of the rest of the options on the menu are hidden. I have turned off notifications in the picture below. Do you find it difficult or annoying to manually install updates that become available for your installed apps? Learn how to automatically download and install these updates as they become available to make it much simpler to manage the apps on your device. What Does a Firestick Do?